'Anyone who wants to save his life will lose it; but anyone who loses his life for my sake will find it' (Matthew 16.25). We often associate Lent with 'giving something up', but it is also a good time to begin or to deepen the practice of meditation. Through this ascetic discipline, we enter into the tradition of the Desert Fathers and, as we learn to nurture the silence within, come to experience joy and well-being in every area of our lives. This book is a practical introduction and guide to Christian meditation as taught by Fr John Main and continued through the World Community for Christian Meditation (WCCM). It contains meditation instructions, guidance and support as well as 46 enriching daily reflections on the Gospels, highlighting an aspect of their meaning and their continued relevance for modern living. 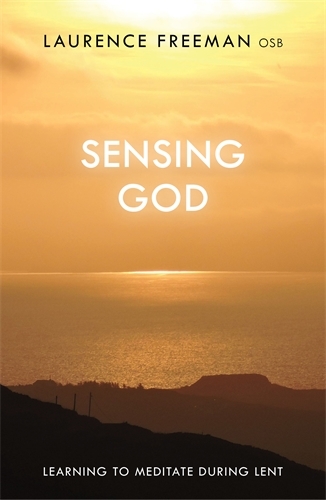 Sensing God by Laurence Freeman was published by SPCK Publishing in December 2015 and is our 22016th best seller. The ISBN for Sensing God is 9780281075461. A refreshing and practical introduction to Christian meditation by a renowned speaker, writer and retreat leader, with 46 daily Lenten reflections on relevant Gospel passages. 'Those who want to save their life will lose it, and those who lose their life for my sake will find it' (Matthew 16:25). We often associate Lent with 'giving something up', but it is also a good time to begin, or to deepen the practice of meditation. Through this ascetic discipline, we enter into the tradition of the Desert Fathers, and as we learn to sense God's presence and nurture the silence within, come to experience joy and well-being in every area of our lives. This refreshing book from a renowned speaker, writer and retreat leader is a practical introduction and guide to Christian meditation as taught by Fr John Main and continued through the World Community for Christian Meditation (WCCM), a contemporary, ecumenical, contemplative community. Fr Laurence offers meditation instructions, guidance and support, as well as 46 enriching daily reflections on the Gospels, which highlight an aspect of their meaning and their continued relevance for modern living. Got a question? No problem! Just click here to ask us about Sensing God.